it is the time to favor her; the appointed time has come. Almighty and everlasting God, mercifully look upon our infirmities and stretch forth the hand of Your majesty to heal and defend us; through Jesus Christ, Your Son, our Lord, who lives and reigns with You and the Holy Spirit, one God, now and forever. 1 All the people gathered as one man into the square before the Water Gate. And they told Ezra the scribe to bring the Book of the Law of Moses that the Lord had commanded Israel. 2So Ezra the priest brought the Law before the assembly, both men and women and all who could understand what they heard, on the first day of the seventh month. 3And he read from it facing the square before the Water Gate from early morning until midday, in the presence of the men and the women and those who could understand. 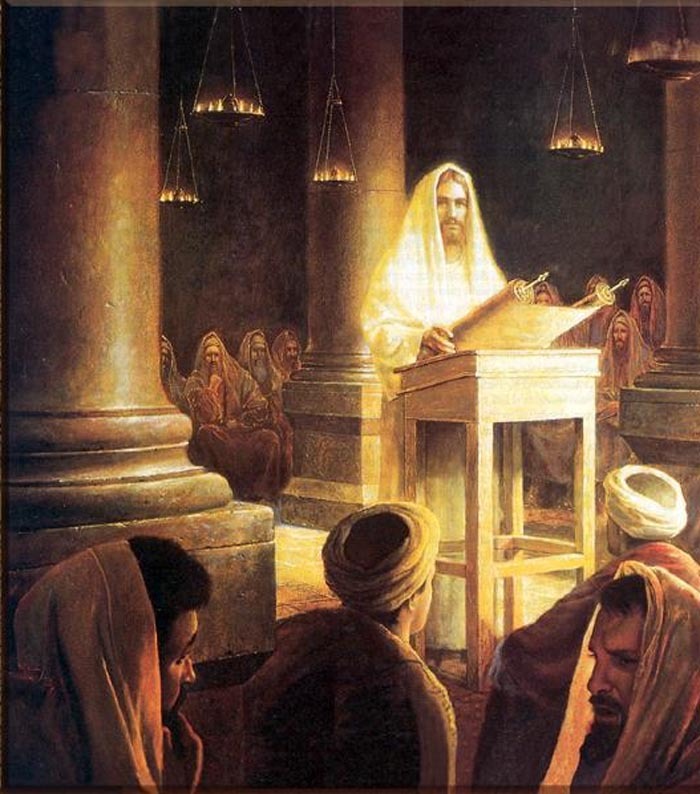 And the ears of all the people were attentive to the Book of the Law. . . .
5And Ezra opened the book in the sight of all the people, for he was above all the people, and as he opened it all the people stood. 6And Ezra blessed the Lord, the great God, and all the people answered, “Amen, Amen,” lifting up their hands. And they bowed their heads and worshiped the Lord with their faces to the ground. . . .
8They read from the book, from the Law of God, clearly, and they gave the sense, so that the people understood the reading. 12Who can discern his errors? 12For just as the body is one and has many members, and all the members of the body, though many, are one body, so it is with Christ. 13For in one Spirit we were all baptized into one body—Jews or Greeks, slaves or free—and all were made to drink of one Spirit. 14For the body does not consist of one member but of many. 15If the foot should say, “Because I am not a hand, I do not belong to the body,” that would not make it any less a part of the body. 16And if the ear should say, “Because I am not an eye, I do not belong to the body,” that would not make it any less a part of the body. 17If the whole body were an eye, where would be the sense of hearing? If the whole body were an ear, where would be the sense of smell? 18But as it is, God arranged the members in the body, each one of them, as he chose. 19If all were a single member, where would the body be? 20As it is, there are many parts, yet one body. 20And he rolled up the scroll and gave it back to the attendant and sat down. And the eyes of all in the synagogue were fixed on him. 21And he began to say to them, “Today this Scripture has been fulfilled in your hearing.” 22And all spoke well of him and marveled at the gracious words that were coming from his mouth. And they said, “Is not this Joseph’s son?” 23And he said to them, “Doubtless you will quote to me this proverb, ‘Physician, heal yourself.’ What we have heard you did at Capernaum, do here in your hometown as well.” 24And he said, “Truly, I say to you, no prophet is acceptable in his hometown. 25But in truth, I tell you, there were many widows in Israel in the days of Elijah, when the heavens were shut up three years and six months, and a great famine came over all the land, 26and Elijah was sent to none of them but only to Zarephath, in the land of Sidon, to a woman who was a widow. 27And there were many lepers in Israel in the time of the prophet Elisha, and none of them was cleansed, but only Naaman the Syrian.” 28When they heard these things, all in the synagogue were filled with wrath. 29And they rose up and drove him out of the town and brought him to the brow of the hill on which their town was built, so that they could throw him down the cliff. 30But passing through their midst, he went away. This entry was posted in Epiphany, Guest Preacher, Sermon. Bookmark the permalink.